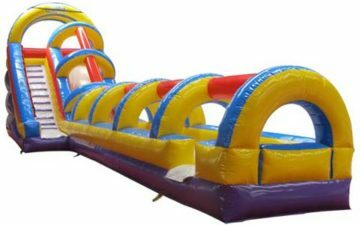 Beston is one of the best inflatable slide manufacturer in China and supplies various types of commercial inflatable water slides for sale for customers. 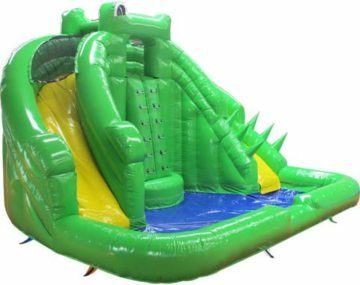 Beston commercial grade inflatable water slide is manufactured with 100% upper high quality PVC Tarpaulin, and it has a longer service life and can be used summer after summer. Generally, the thickness of the commercial water slides is o.5mm. 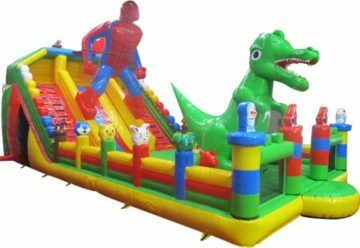 The certification of the inflatable slides is ROHS, UL, CE. And Beston also can customize any types of commercial water park slides for sale as you want for customers. 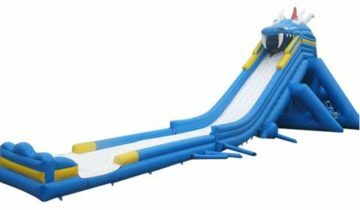 In general, the commercial water slides for sale inflatable include sprayer, handles, pools and so on. Beston makes the commercial inflatable water slides for sale safer, portable and more durable. 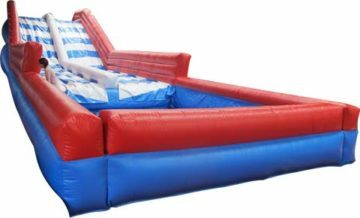 This kind of Large Commercial Inflatable Slides are designed like a large blue dragon and the dragon can spray water from the mouth. 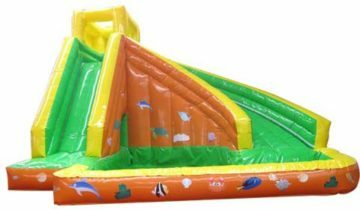 The inflatable slides has a long water slide. 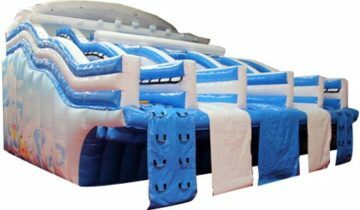 Beston inflatable water slides are made of high quality PVC tarpaulin and we can customize the inflatables according to their own requirements. It mainly attracts many kiddies and adults in the parks and playground. 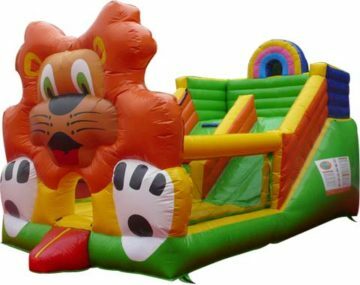 The tiger jungle inflatable slide with various fruits for kiddies has a beautiful appearance and can attract many children’s eyes. 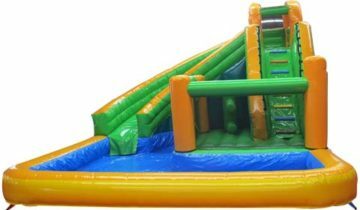 The main colours of the inflatable slides are orange, green and white and make visitors feel very happy when seeing the inflatable slides. 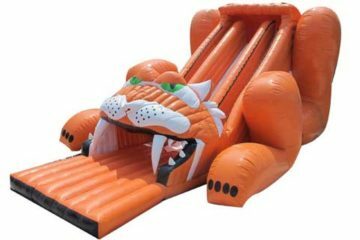 The BIS-O22 inflatable slides manufactured with high quality PVC Tarpaulin can make sure that the tiger jungle inflatable slides is highly safe for kids. It is suitable for advertisement, rental business, parties, clubs, parks, squares, outdoor entertainment, backyard fun and other business functions. 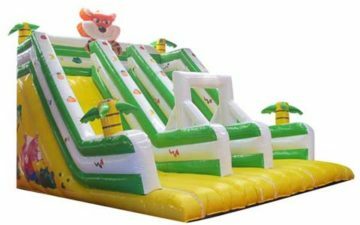 The water spray inflatable water slides are made up of the the water slides, the footstep and the lane with arc-bridge. 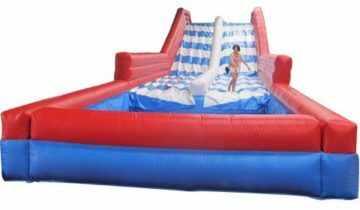 All part of the inflatable slides are high in quality which guarantee kiddie’s safety. The footstep is convenient for kiddies to climb to the top of the inflatable water slides. Children can slide down onto the lanes and then run as fast as they can while the water is being sprayed in every direction, and finally end up in a pool. It is very interesting for kiddies as well as adults. The tidal wave inflatable water slides, just as the name shows, are manufactured according to the shape of tidal wave and decorated with some trees. 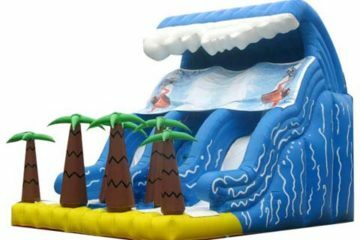 Riders on the tall wave inflatable water slides can feel cool off and they will never forget the thrilling feelings when riding on waves. Riders go up the climber, slide down and splash onto the flat surface where have lots of trees. 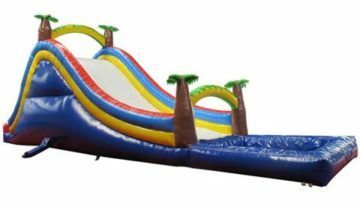 The wave water slides are mainly suitable for the smaller age group because the climber is not too challenging for the older kids or adults. What’s more, the wave water slide from Beston has two lanes and allows two riders to slide down from the inflatable slides. Therefore, riders will experience the thrill of a bump on the waves and scream out. How interesting the wave inflatable water slides are! 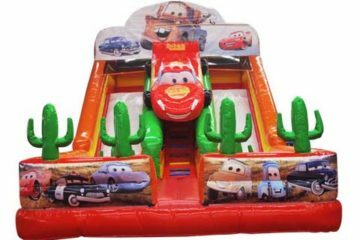 The Car Theme Dual Lanes Inflatable Water Slides with Pool are the very interesting water park slides for sale from Beston. The water slides has two lanes and are decorated with kinds of car pictures. 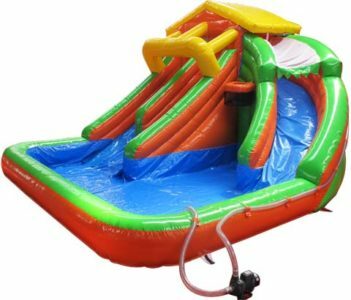 Children and adults can go up on the inflatable water slides and slide down from the top onto the inflatable pool. Beston commercial inflatable water slides for sale are safely designed to create fun for backyard birthday parties, backyard carnivals, school events, school carnivals, school field days, school festivals, church events, church picnics, church festivals, church vacation bible school, church carnivals, church homecoming, opening day, baseball events, little league and softball league events, corporate events, and corporate picnics. 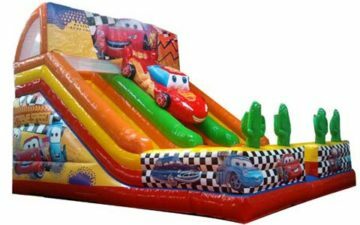 The Cars Movie Theme Dual Lane Slide is an attractive high volume slide that is sure to be huge draw for Children. 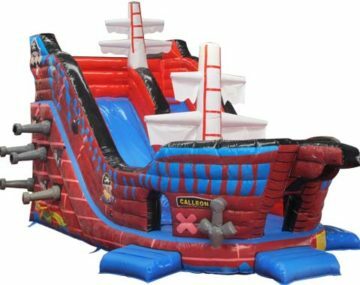 Why many customers love to choose all types of inflatables from Beston? 1. Safe. 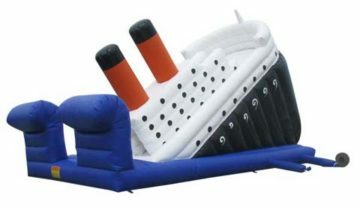 Beston designs and manufactures all of our inflatables and the related parts with superior quality raw materials and All inflatables are strictly tested and inspected according to the safety standards to make sure all the parts of the inflatable products will cause no harm to the kids and young people. We can guanantee that all the metal parts are smooth and the plastic parts are no-toxic, anti-ultraviolet property, conforming to the standard of FOOD class. 2. Experienced. 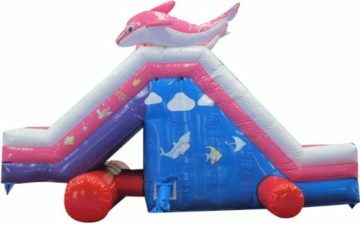 Inflatables from Beston are designed by very experienced designers with many years designing and manufacturing experience. They can constantly come up some innovative ideas which is accurately adapting to the interests and feels of the children. 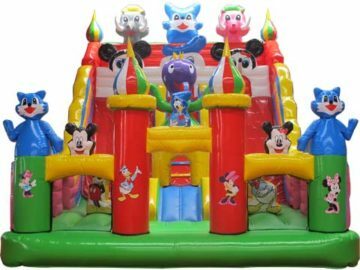 Because of the unique designs, innovative appearance and attractive styles, Beston inflatables for sale can bring to the children not only happiness but also the health and wisdom. 3. High Quality. In Beston, all staff have been believing that quality is the soul of the products. 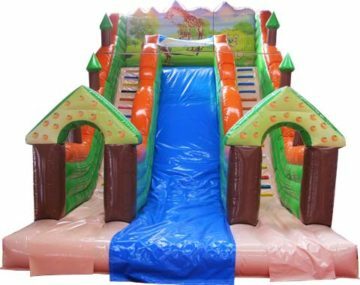 Beston can promise you that all types of our inflatables, including slides, jumper, combos, fun city, obstacle clearance, pools, tents, etc., will keep in very good condition after long time use or even in the harsh climatic conditions. All the parts of Beston inflatables will keep high durability between the temperature -50°C~50°C. 4. Competitive. 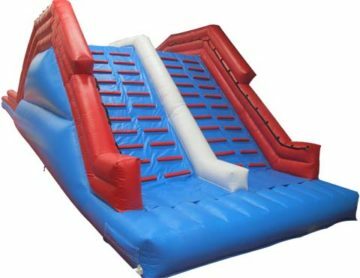 Beston inflatables have advantages of excellent quality and reasonable price. 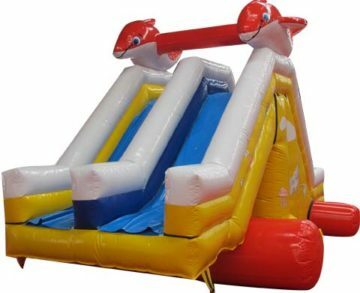 Beston can provide you the best inflatables for sale with the lowest prices as for the same products in same quality and same standard. You can afford it and get more benefits. With the same amount of money, you will enjoy more experienced designs, faster delivery, professional installation instructions and much better services.